Before we know it, Valentine’s Day will be here! Hearts, roses, chocolate, balloons and bears! 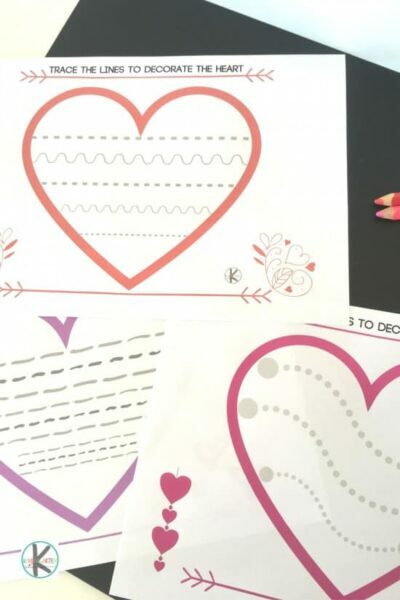 All of these things are so fun to work into a Valentine’s Day theme for learning. 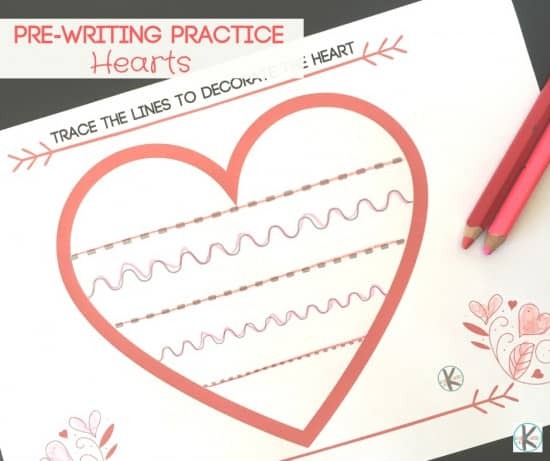 Get pre-writing practice in with these pretty heart themed printable worksheets! Pre-writing skills are important to develop before children formally starts writing. The strokes and lines they make in an activity like this prepars them for writing letters. It also develops directional awareness- writing from left to right, pencil control as well as fine motor muscles, to name a few. Print out these 3 pages and laminate if you wish to use it more than once. (Then use with a dry erase marker). 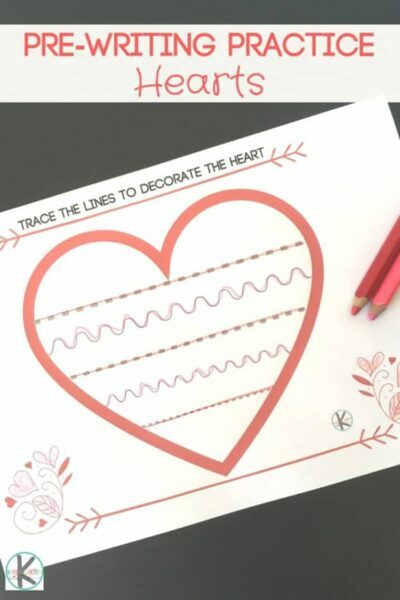 Children “decorate” the hearts by tracing the lines in different colors and practicing those important skills while at it. Obviously they can add any creativity to decorate the heart too! Try using a variety of writing tools- pencils, crayons, pens, markers etc. to make this activity more interesting. It can easily be set up as an independent activity in the writing center(in a classroom) or an activity at home, perhaps part of your homeschooling day? It can even be a good busy bag activity for when you travel. Tip: use a cookie sheet as a traveling tray in the car. 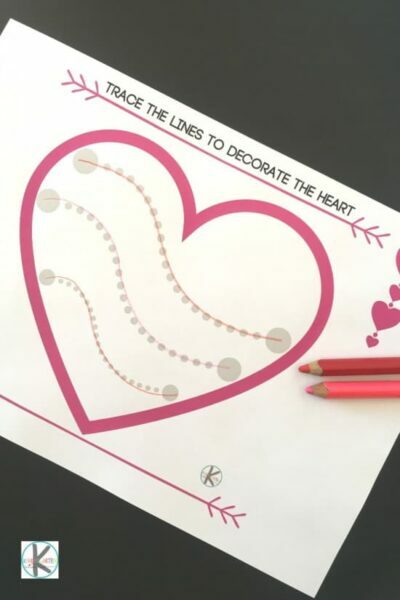 A pretty LOVEly activity for the month of February your preschoolers will enjoy! 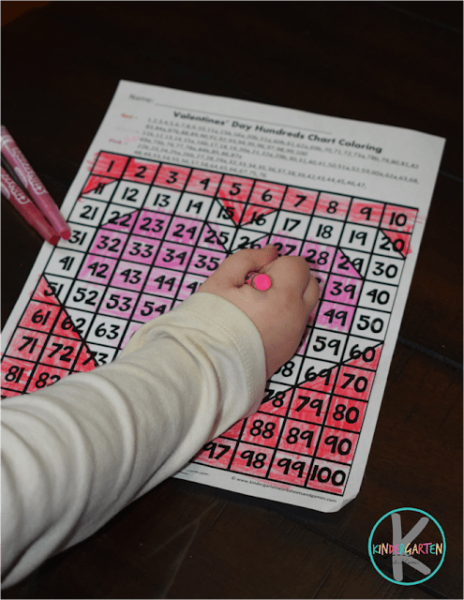 Kids will have fun practicing identifying numbers with these FREE Valentines Day Color by Number Worksheets. 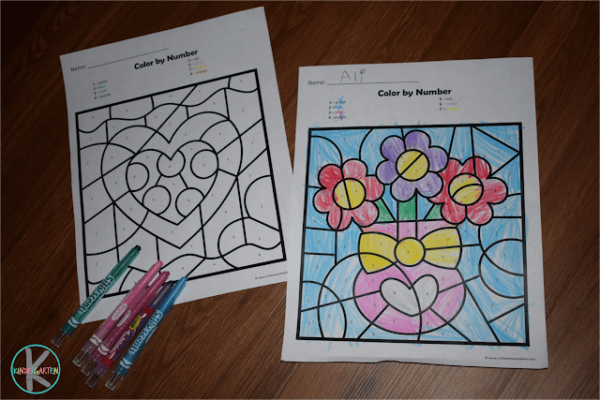 Kids will love revealing the mystery pictures as they color these Free Valentines Day Hundreds Chart Worksheets. 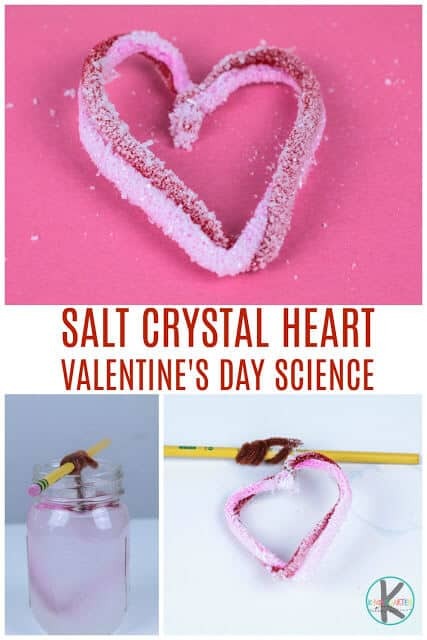 Make your own crystals in this fun, Valentines Day Science Experiment for kids!